Molly Twin Package includes:1 Twin Duvet (A), 1 King Sham (B), 1 Decorative Pillow (C). Molly Full Package includes:1 Full/Queen Duvet (A), 2 Standard Shams (B), 1 Decorative Pillow (C). Molly Oversize Queen Package includes:1 Oversize Queen Duvet (A), 2 Standard Shams (B), 1 Decorative Pillow (C). 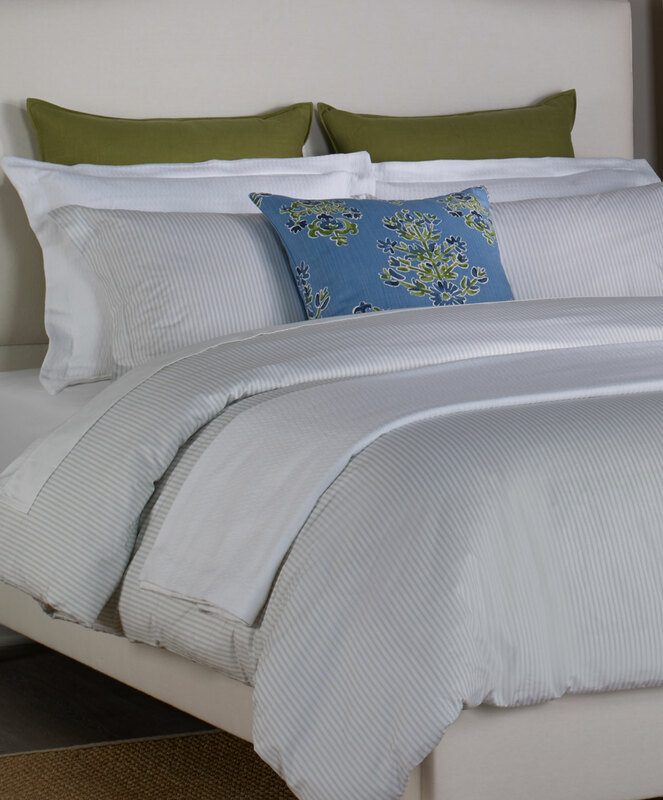 Molly King Package includes:1 King Duvet (A), 2 King Shams (B), 1 Decorative Pillow (C). Molly Oversize California King Package includes:1Oversize California King Duvet (A), 2 King Shams (B),1 Decorative Pillow (C). The photo shows an Oversize Queen Package with the addlition of 2 Apple Jefferson Euros, and a Lucy White Matelasse Simple Set. 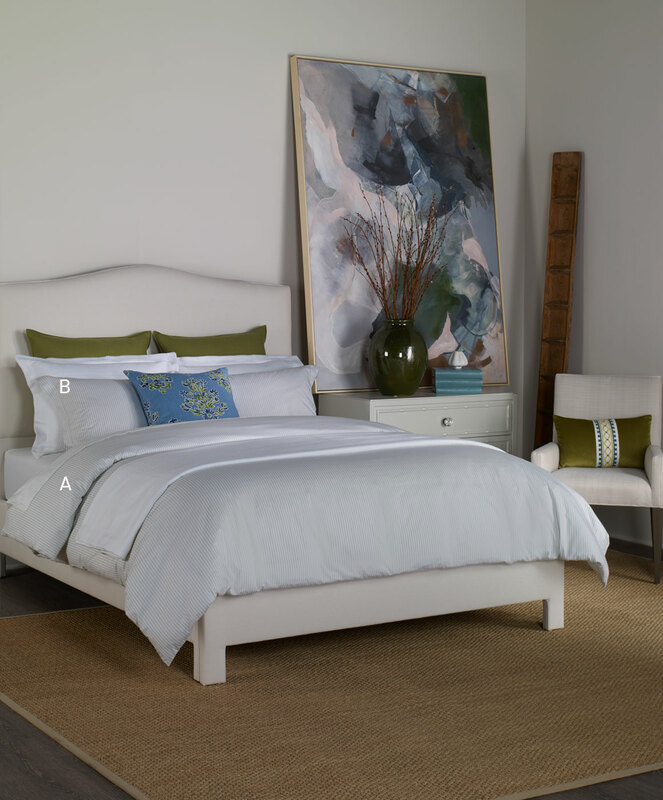 1 Twin Duvet (A), 1 King Sham (B), 1 Decorative Pillow (C). 1 Full/Queen Duvet (A), 2 Standard Shams (B), 1 Decorative Pillow (C). 1 Oversize Queen Duvet (A), 2 Standard Shams (B), 1 Decorative Pillow (C). 1 King Duvet (A), 2 King Shams (B), 1 Decorative Pillow (C). 1Oversize California King Duvet (A), 2 King Shams (B),1 Decorative Pillow (C). Molly Ticking Stripe with 2" Self Flange on four sides.